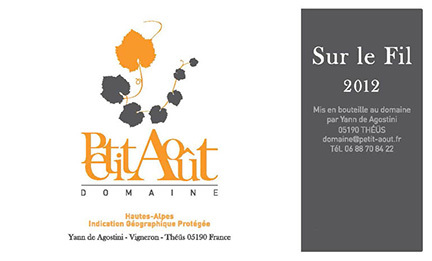 Domaine du Petit Aout (little August in French) takes its name from proprietor Yann Agostini’s Italian heritage (Agostini is little August in Italian). Yann’s grandfather left his home near Lake Maggiore in Northern Italy during the Second World War and found work in this beautiful valley just south of Gap. He worked as a mason in the region and passed on the knowledge of his trade to Yann’s dad. Yann has certainly earned his stripes in the field of winemaking. He began his wine studies in 1997, when he earned an enology degree in Bordeaux and did an internship in St. Emilion. In 2000 he moved to the Lot department in the Southwest where he worked at Domaine Belmont. Yann’s wine trail then led him to Australia where he vinified with Martin Williams in the Yarra Valley. Upon his return to France, he worked in the cellar at Chateau Mont-Redon in Chateauneuf du Pape, and in 2002 returned to the Hautes Alpes and was employed as the head of winemaking at the Cave Coopérative des Hautes-Vignes near Théüs. 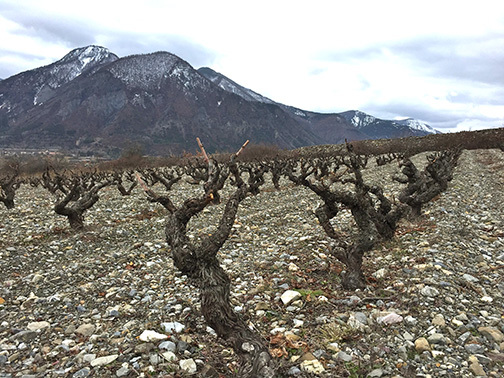 In 2008 he left and began making wine at the nearby Domaine Allemand, the owner of which, local winemaker Marc Allemand, was chiefly responsible for the salvation of the almost-extinct Mollard grape. He is also the owner of the original Mollard plantings from which all other plantings are to be taken. Agostini worked at his domaine in exchange for some parcels of vines from which he made his own wine under the name Petit Aout. 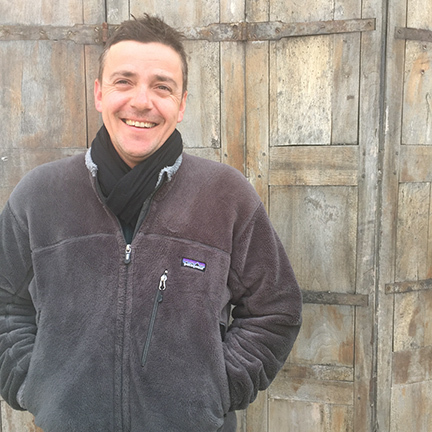 In 2012, he separated from Domaine Allemand and built a humble winery just outside of Theus. There he works the Mollard parcels he acquired from Allemand, as well as a few other parcels. 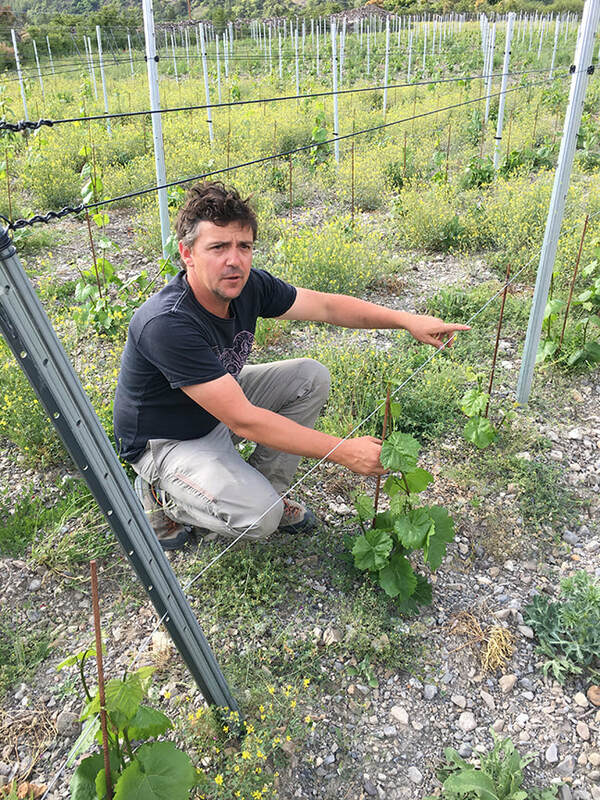 ​But about 80% of Yann’s vines are rented from other producers; currently there are 6 hectares in production, broken into a number of different varieties: Mollard, Roussanne, Clairette, Muscat, Cabernet Sauvignon and Marsanne. Ages of the vines vary greatly, with the oldest being 55 years old and the youngest 5 years old. Yields are low: 40 hl/ha on average. While always respecting the vineyards, Yann took the plunge in 2014 and began working organically, and he is certified since 2017. He uses no artificial fertilizers or herbicides, and only copper and sulfur to treat the vines. 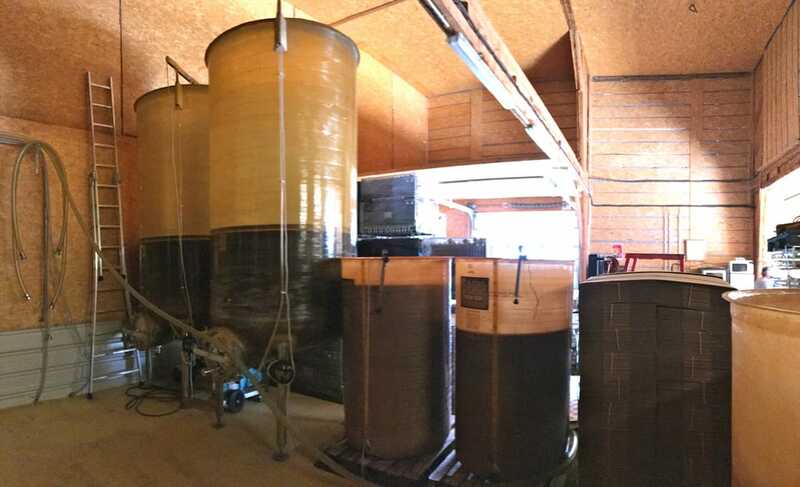 Harvest is by hand and red wines are made and aged in fiberglass and stainless steel tanks, while white wines are aged 6-8 months in 225-liter oak barrels. The wines are lightly fined and filtered before being bottled. Made with 60% Roussanne and 40% Clairette, from vineyards on clay and limestone terraces at 600 meters altitude. Grapes are hand-harvested in small batches. The grapes then undergo direct pressing with skin contact for 48 hours, and 90% is aged in 4th-use Burgundy casks, and 10% in tank sur lie. Malolactic fermentation is blocked to retain acidity. The wine shows aromas of stone fruit (apricot) along with some citrus pith. Medium-bodied, clean and lively. Domaine du Petit Août "La Memoire Neuve"
This red wine is made with 100% Mollard from vines ranging in age from 5 to 55 years old. The grapes are hand-harvested in small batches, then fermented and aged in fiberglass tanks with daily pump-overs. 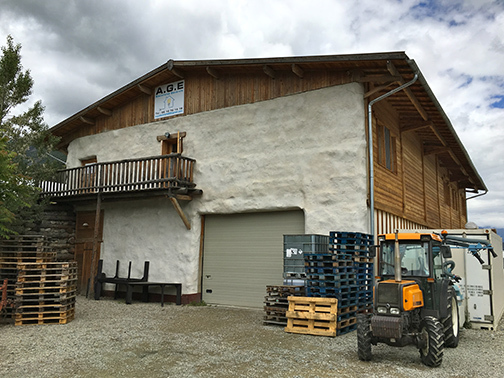 The juice undergoes a 7-day fermentation period, after which the free-run and press wines are blended. After malolactic, the wine is aged for 6 months in fiberglass tanks on its fine lees and is bottled after a light filtration. Notes of Morello cherry and black fruit with a savory note of black pepper. Soft on the palate, this is a very versatile at the table. Domaine du Petit Août "New Rosé"
(Yann claims this name comes from one of his favorite albums by the band The Damned) It is 100% Mollard from 40- to 50-year old vines grown at 600 meters along the slopes of Theus. Hand-harvested in small batches, this saignée rosé is then aged partially in 5th-use oak and partially in tank with the malolactic blocked. Both parts are then aged for 3 months in tank before bottling. This rosé has good color and is both bright and rich at the same time. Its cherry and plum notes make it an ideal partner for grilled chicken or Atlantic salmon. 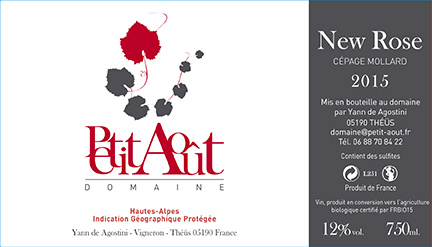 Domaine du Petit Août "La Vie Est Pleine des Surprises"
This so-called "surprise wine" is an uncommon red blend of Mollard, Cabernet Sauvignon, Clairette Blanche, and the little known Espanenc. The grapes are hand-harvested in small batches, then the reds are pressed whole cluster and the white is pressed separately and blended with the reds during fermentation. The wine is then aged in fiberglass tanks on its fine lees, with daily pump-overs, for 7 months. It definitely lives up to its name!